December 14, 2017, New Delhi: The Election Commission, back in February 2015 had issued guidelines for linking Aadhaar with Electors’ Photo Identity Card (EPIC), popularly known as the voter ID card, as part of the National Electoral Rolls Purification and Authentication Programme (NERPAP). This was primarily done to eliminate fraud and duplicate voters. The Supreme Court had stayed this in its August 2015 ruling. However, the proposed move is making headlines again. In July this year, the Election Commission of India submitted an application to the Supreme Court for collection of Aadhaar details of voters and linking them to their database. May citizens said that duplicate voting which has been a major concern during elections, will also be minimised by this move as the biometric imprints cannot be faked or duplicated. 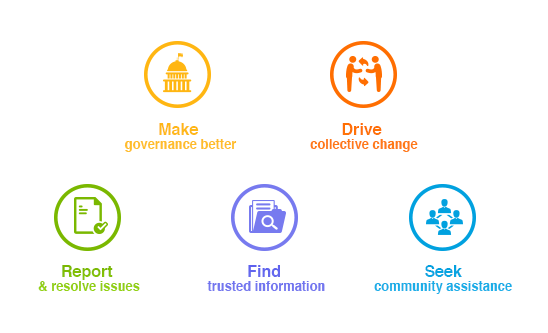 Citizens believe that electronic voting would also make the voting process easier and very comfortable for the citizens. It would also increase the percentage of the people who cast their votes as they will be able to vote from their computer or smart phone sitting anywhere in the world. It would also mean that unlike now, people living or working in a different state than their home state will still be able cast their votes during elections. 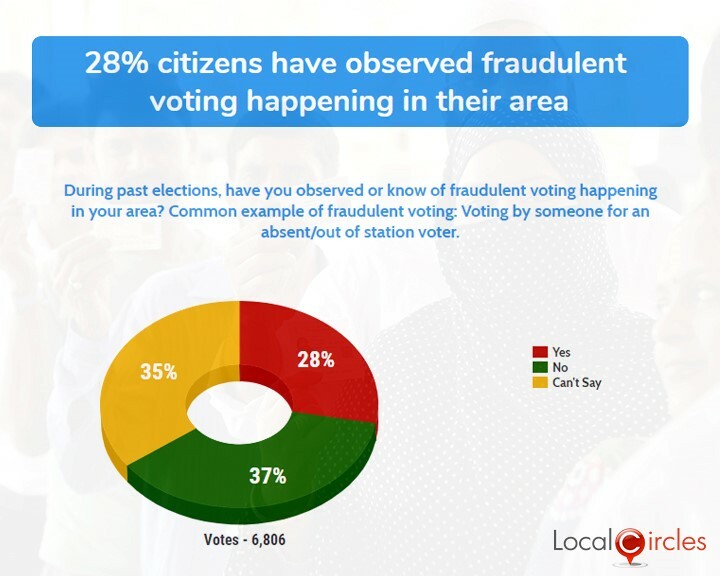 A parallel poll conducted asked citizens if they had observed fraudulent voting happening in their area during elections. A sizable 28% answered in a ‘yes’ and 35% said they were not very sure about it. Only 37% said that they were sure fraudulent voting was not happening. More than 6,800 citizens voted on this poll, a large number saying that fraudulent voting make the entire voting process ineffective and needs to be curbed. The government recently made it mandatory for the citizens to link their Aadhaar with PAN for filing income tax returns. Millions of people followed the order and connected their Aadhaar with PANs overnight. 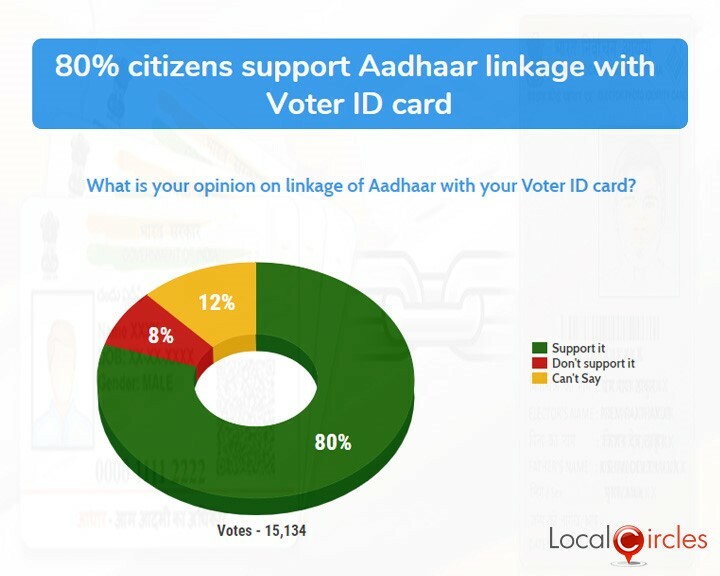 Citizens suggested that a similar move to connect the voter ids with Aadhaar could also be made mandatory for exercising voting rights. The authentication for the Aadhaar-voter id connect could be done online or even on the voting booth. The election commission should make it mandatory to connect the two to make them eligible to cast a vote. The Election Commission had earlier moved to the Supreme Court, asking for permission to link their Aadhaar to voter’s ids. The Supreme court had then directed that: “The unique identification number or the Aadhaar card will not be used by the respondents for any purpose other than the PDS scheme and in particular for the purpose of distribution of food grains, etc. and cooking fuel such as kerosene”.